This case concerns the validity of language requirements related to obtaining a position in Quebec with the Correctional Service. The Public Service Commission’s decision is appealed before the Federal Court. Mrs. Viola’s “candidacy was rejected because she did not” have a level of bilingualism equivalent to “BBB”. She appealed this rejection before the Public Service Commission on the ground that a Bilingual imperative of this level was wrongful and unjustified. The Commission ruled in her favour and questions the validity of the candidacies selected for the position.
" Did the Commission have the power to declare that the requirements related to bilingualism were illegal ?" The Federal Court rules that the Public Service Commission did not have such a power. It concludes that the Official Languages Act of 1988 did not implicitly give the power to determine the legality or validity of the language requirements related to the employment in the Public Service to the Commission. The Commission can only rule on the evolution of the requirements done by those responsible of employment during their examination of a submitted candidacy. Only the Federal Court can judge the legality of said requirements. 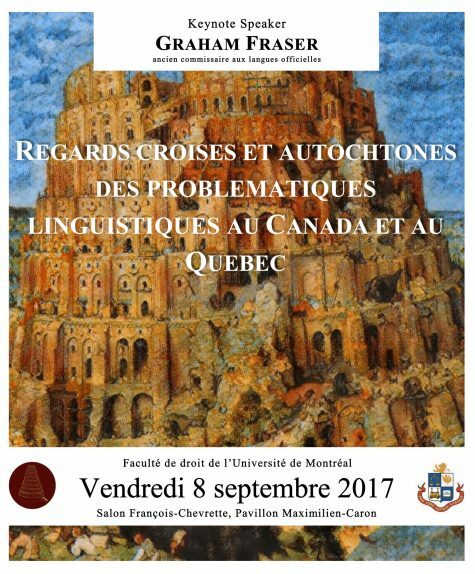 This reference is not concerned directly with language rights, however, it reveals the sensitivity of the Court with regards to the Civil Law tradition of Quebec, as well as its distinctiveness–the French language being one of the particularities of the province. In accordance with section 6 of the Supreme Court Act, the Honorable Marc Nadon, judge of the Federal Court of Appeal, and past member of the Quebec Bar for more than ten years, was appointed as a Quebec judge to the Supreme Court of Canada. This appointment was contested and the federal government submitted to the Court questions regarding the interpretation of sections 5 and 6 of the Supreme Court Act. “1. Can a person who was, at any time, an advocate of at least 10 years standing at the Barreau du Québec be appointed to the Supreme Court of Canada as a member of the Supreme Court from Quebec pursuant to sections 5 and 6 of the Supreme Court Act? The majority held that a judge of the Federal Court or the Federal Court of Appeal cannot be appointed to the Supreme Court of Canada in accordance with section 6 of the Supreme Court Act. In order for a judge to be appointed in accordance with section 6, at the time of his appointment, he must have been a member of the Quebec Bar for at least ten years or a current judge of the Quebec Superior Court or Court of Appeal. The Supreme Court also highlighted the importance of the historic compromise responsible for the adoption of the provision in 1875; the purpose of the provision in question being to ensure the expertise of the Court in Civil Law encompassing the distinctive values and legal tradition of the province of Quebec. Consequently, by ensuring the continued presence of Quebec judges at the Court, this section of the Act enshrines the legitimacy of the Supreme Court and maintains the confidence of Quebecers regarding it. This content has been updated on 7 April 2016 at 15 h 05 min.